DATES / TOURS SHOWN BELOW & MORE ADDED MONTHLY. Find out more about the guys in the band, and the dep artists and friends who often can be found sharing the stage with Neville. 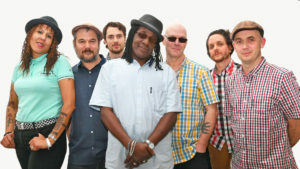 The Neville Staple Band are pleased to be endorsed by Rotosound Strings.